The "New Inn" public house, which no longer exists, lost its licence and then continued in business as a Sweet Shop. The second CONGREGATIONAL CHURCH (now the U.R.C.) building was also used as a school and was found to be too small. Due to this, the need arose for a third CONGREGATIONAL CHURCH building which was opened in 1906. 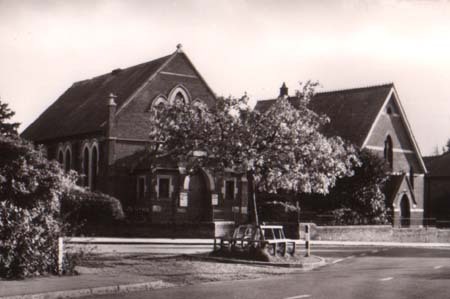 The school was re-opened in the evenings as the Verwood Undenominational School. The METHODIST CHURCH was built with bricks made in Verwood. It was erected on the site of the previous Primitive Methodist Church. The Wesleyan Chapel was erected in on the site of the old Wesleyan Chapel. It is situated to the south of the URC and is currently the village library. Lloyds Bank was the first bank to open sub-branch in Verwood. First Verwood Carnival Held. It was started by Mrs Jeayes, the Vicar's Wife. The Census gives Verwood population as 1,605. The BETHEL CHAPEL was opened after years of worshipping in a hut at Hayward’s Farm. "The Golden Oak" tree in front of the United Reformed Church was planted, to commemorate the Silver Jubilee of King George V & Queen Mary, by the oldest & youngest residents, Lady Limpus & Harvey Sims. This tree died and was replaced 3 years later. It was removed in August 2006 for road changes. On the 30th November 2006 a new replacement tree was planted by an older Mr Sims. Gas first arrived in Verwood supplied by the "Bournemouth Gas and Water Co."
War Years Remembered in a letter from Mr. S Morgan to Mr. Webster in April 2005 with his reminiscences from the war Years. Soldiers of the King - A selection of stories, paraphrased from 'Verwood at War' presented by members of the Verwood Evening Womens' Institute in 1984. Dad's Army - A further selection of stories, paraphrased from 'Verwood at War' presented by members of the Verwood Evening Womens' Institute in 1984 concerning the Local Defence Volunteers or 'Home Guard'. "Naafi Days" by Lucy Miles & "Southampton Blitz" by Audrey Thorne. Sept 23rd Formation of the Royal British Legion Women's Section in Verwood. Verwood Carnival restarts after being suspended for the War Years. Sept 30th Robert Michael James Gascoyne-Cecil, 7th Marquess of Salisbury, was born, he became a Conservative politician and Leader of the House of Lords, under his courtesy title of Viscount Cranborne. 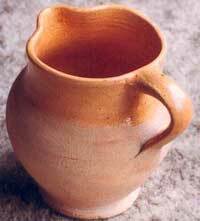 The Crossroads Pottery ceased production. 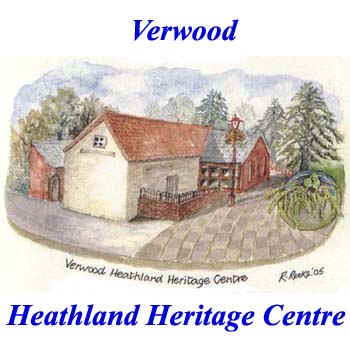 (It is now the Verwood Heathland Heritage Centre). 1954 Bill Andrews butchers opened in Manor Road. The metal walls of the Anglican Church at Three Legged Cross (All Saints) had corroded badly and was clad in stone with a wooden interior. The current Memorial Hall was built using money from a fund that had started life before the outbreak of World War II. It is still run today by a separate trust and has an independent Management Committee. Verwood Station & the line from Salisbury to the coast was closed after 98 Years. This was part of the Lord Beeching axe. 1965 The strucutral timbers of the Anglican Church at Three Legged Cross (All Saints) were very decayed and in 1966 the PCC proposed urgent repairs, but this was deferred due to lack of finance. The new youth rooms, built behind the Methodist Church were opened by Miss Jessie Mathews (of film & Mrs Dales Diary fame) and the Rev. Dennis Bussey. The new Hillside County School was Built to replace the 1880 British School and is still in use today in 2015. The "Punch & Judy Cafe" burnt down on the site now occupied by the Post Office and "Champagne" in Manor Road. It was attended by the Cranborne Fire Appliance. The "Verwood Anglican Parish Church" was extended to cope with the increasing population. "The Manor Lodge" public House was opened. It later became "The 3 Swans" and is currently called "The Swans". The first annual Rustic Fayre was organised by the Community Association. The early ones took place on Reg. Day's field at Ebblake which has since been built on. The New Hall built at the Verwood Methodist Church opened which replaced the youth rooms built in 1966. The minister at the time was Mr. Derek Chapman. The first inaugural Twinning visit to Verwood from Champtoceaux. The 50th Verwood Carnival is held. The Verwood Royal British Legion Celebrated its 50th Anniversary. Mrs Patricia Hood - Headmistress of the Church First School retired after 29 yrs. The population had grown to 9,856. The Parish Council passed the necessary resolution to become a Town Council under provisions made in the 1972 Local Government Act. Twinning Association - visit to Champtoceaux with the Ringwood Pipers. Verwood Dramatic Society - Production of Random Harvest in the Memorial Hall. The New Verwood Youth Centre was officially opened by the Rt. Reverend the Bishop of Sherborne. Dan and Joyce Andrews retired and closed his Butchers Shop in Ringwood Road. It was sold and became the Indian Palace restaurant. It was renamed under new ownership in 2007. The new Middle School was built for 9-13 year olds. Previously this age group had had to attend either West Moors or Cranborne Middle Schools. The Emmanuel Middle School in Verwood (for 9-13 Year olds) was opened under its new head Mrs Christine Chisholm as a Church of England Aided School. Previously this age group attended either West Moors or Cranborne Middle Schools. Station Road re-aligned to pass to the opposite side of the Albion Inn and the old Road bridge which can still be seen. The Shop & flats complex (Including Baileys new shop) which was on the site of the old Restynge House was completed. Visit by Champtoceaux and the naming of "Champtoceaux Green" in Verwood. Inauguration of the Hillside School Playgroup. Visit by Champtoceaux, to mark the enlargement of the civil area in France, to include eight of the outlying villages (The Canton) of the Champtoceaux District. As well as Champtoceaux the district includes Bouzillé, Saint Christophe La Couperie, Saint Laurent des Autels, Saint Sauveur de Landemont and La Varenne. Official opening of Verwood Fire Station by Mr D J Fox - chairman of the Public Protection Committee. It was remarked that nobody could remember the last opening of a brand new station which was not a replacement for a previous one. Previously Verwood had been covered by the Cranborne Fire Engine. The new Verwood Town Council Offices opened. The former Lloyds Bank had been suitably refurbished. The mayor, Cllr Bill Williams welcomed the visitors. A new "Verwood Town Council crest" was designed based on that used by the Twinning Association. Official Verwood twinning with Liederbach am Taunus in Germany. The METHODIST CHURCH was enlarged. The old wooden Sunday School huts were removed and one finished up on the Dewlands Park Caravan site. A modern warehouse on the Ebblake Industrial Estate was converted for use as an Ambulance Station. 1993 The Anglican Church at Three Legged Cross (All Saints) was in such a poor state that it had become uninsurable so it was closed and demolished. August 30th The foundation stone of All Saints, Three Legged Cross, was laid by Geoffrey Walton, Archdeacon of Dorset. Verwood's new Police Station was opened. January 14th The new All Saints, Three Legged Cross, was dedicated by the Right Reverend David Stancliffe, Lord Bishop of Salisbury. Increasing population was now estimated to be over 11,000 and Verwood, previously having been split into two wards for Parish purposes, was fully warded this year. Three Councillors continued to represent Three Legged Cross and Verwood itself was split into three wards of five Councillors each. The full Town Council now consisted of 18 Councillors. 1995 Verwood and 3LX Twinning - gift of a red telephone box to Liederbach in Germany. TV's 'Uncle Albert' laid to rest - Only Fools and Horses stars David Jason and Nicholas Lyndhurst led mourners at the funeral of Buster Merryfield - known to millions as Uncle Albert in the hit BBC comedy. The two stars filed in behind his coffin as it was carried into the tiny, packed St Michael and All Angels Church in Verwood. White-whiskered Merryfield, died aged 78 of a brain tumour - he lived in Verwood.